K'JJIPUKTUK (HALIFAX)-- Conversation broke out and emotions flared during Dalhousie’s Board of Governors meeting Tuesday afternoon. 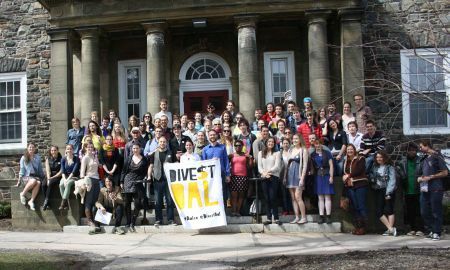 Divest Dalhousie showed up with just under 100 supporters, breaking the record for the third time in a row for student turnout at a Board of Governors’ meeting. 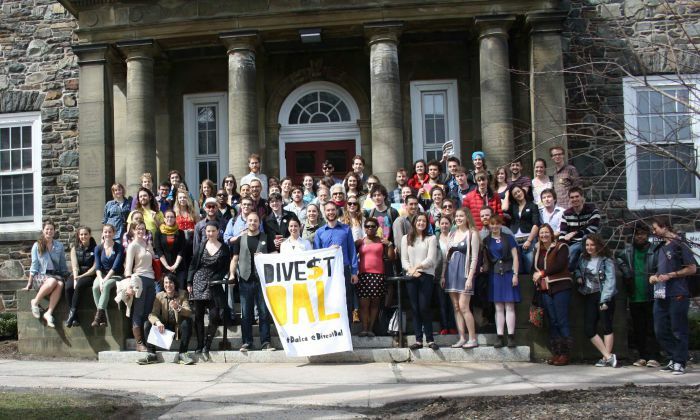 The group, which is made up of both students and alumni within the community, is trying to convince Dalhousie University to eliminate its stake in fossil fuel investments. Dalhousie has an endowment fund–a pool of money used to support “enrichment activities”–which as of today is invested in some of the largest fossil fuel companies in the world. Establishing a four-to-five year plan to completely divest the endowment fund from the fossil fuel industry. Divest Dal met with the Board’s investment committee in February and presented reasons why divestment is a sound financial option and a good decision for sustainability. Yesterday, the group was hoping to hear a formal response about whether Dalhousie is ready to divest. Instead, they were met with an administration that was guarding their answers and skirting their questions, says Stephen Thomas, an alumni and member of Divest Dal. During the meeting President Florizone said that the Board needed more time to understand how divestment might impact the institution, and look at what other universities are doing. The group was visibly disappointed, but this didn’t stop members from standing up and speaking out. Liv Bochenek was the first to stand up. She told president Florizone that Divest Dal is not being accurately represented by board members. 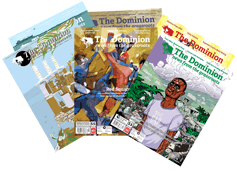 This initiated a conversation between members of the board and divestment supporters. Board members agreed that divestment and sustainability are very important to the university and its members, but they continued to encourage the supporters of divestment to give them more time to allow the investment committee to go over the idea more thoroughly. Florizone also explained that millions of dollars would have to be moved, stating that this would take time. The group then asked for a meeting with the executive committee (the president, committee chairs, and vice president) before the next Board of Governors meeting in June. But members of the board denied that option, saying that it would be too premature. “This is [a] big issue and that is what they continue to skirt. They continue to skirt it into the investment committee box,” says Thomas. With the summer fast approaching, the group realizes that things will begin to cool down, especially with only one Board of Governors' meeting in the foreseeable future. Fossil Fuel share prices are on their way down, down, DOWN! Submitted by Joannelight on Sat, 04/19/2014 - 09:36. Here is the writing on the "stonewall" (of fossil fuel industries' refusal to accept the inevitable that the market for fossil fuels will deflate (hopefully not before the CEOs' egos do.) Shareholders take note! !